"Have you ever thought you'd like to buy and sell houses, but didn't know how or where to begin?" Option to download instantly in print or audio book, and option to receive a copy in the mail. 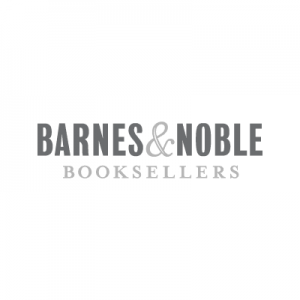 Although the book is available for purchase at these book stores, you can get it free here on RonLeGrand.com. Enter your information below for instant access to Ron's free training. And why the things you think are holding you back really aren't. Spending your own money or putting your credit score at risk. Differences between each side of the business and which one is the quicker and easier option. Why this is the one mantra you should be following for all your transactions. And how they can each benefit you. Ron's strategies to pay as little as possible in taxes. 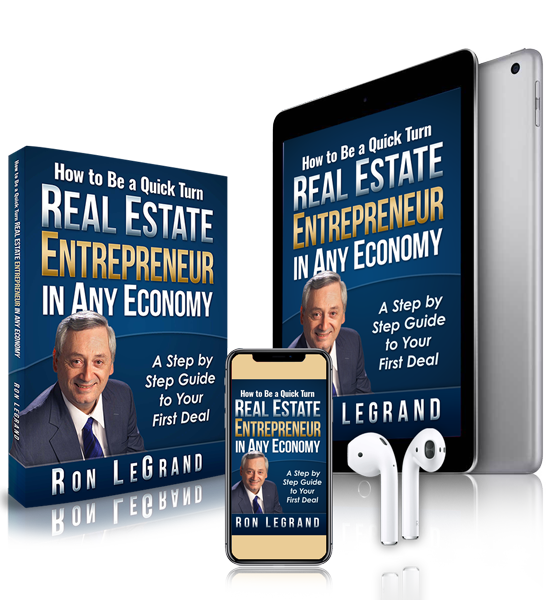 Ron shares the full details from start to finish of two case studies for properties he purchased, including the financial numbers so you can follow along with his process. How you can get access to Ron’s prepared scripts for every part of the purchase and sale process. "Using what you taught me, I was able to make $24,000 with only $100 of my own money and absolutely NO risk. I put a house under contract with a purchase price of $226,000 with a $100 binder deposit. I sold the house for $250,000 a few weeks later by assigning the contract. At the closing, I walked away with a check for $24,000!" The one deal we found was a 3-bedroom, 2 1/2 bathroom town house, the seller agreed $65K and we found the end buyer the same day at $88K, so we decided to go with the EZ no risk way to profit $23K and do nothing to it since we understand our profit will be between $55K to 60K if we fix the house because the ARV will be around $160K. Don't want to try to piece this together yourself? Ready to get started now and just need some help putting it all together? Schedule a Free, 30-minute planning session with a trained advisor who will tell you exactly what steps need to happen to get you started or to the next level.